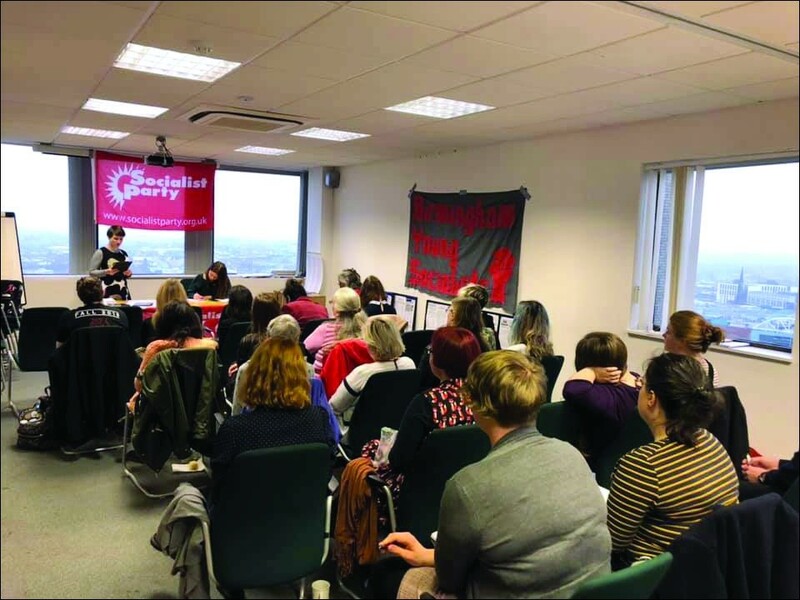 Following our regional conference earlier in the year an initiative aimed at developing the role of women members in the party culminated in a Midlands Socialist Party women's meeting, open to all genders, on 24 November in Birmingham. We had members attending from Coventry, Stafford, Worcester and Leicester. 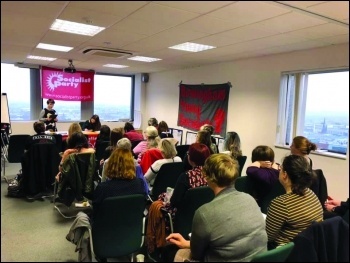 Socialist Party national organiser Sarah Sachs-Eldridge opened the event by initiating a discussion on 'women, socialism and identity politics'. With a multitude of issues to discuss in such a short time, everyone was engaged and participated in the discussion. Members felt comfortable to raise questions on terminology and add extra historical context to the debate. A new 12-year-old member felt confident to ask questions and get involved in such a meaty topic. Commissions were held on revolutionary socialist Rosa Luxemburg and on Marxist economics - with an interactive session, allowing a complex subject to be accessible to all levels and abilities. A commission on the history of women in workers' struggles showed that the root of women's oppression lies in class society. This class oppression can only be overcome through a fight for socialism, and working-class women must be part of this struggle to change society. The event closed with a session on 'the role of women in a revolutionary party'. It brought together everything learned over the course of the day. It helped cement our central role as a driving force for change. With the energy in the room fit to burst, it was clear to see how positive the day had been. The more people understand socialism, the greater the prospect of real change. That is when the revolution will truly begin.